MILTON. Eyewear, Grin Eye Care, and the JFS Food Pantry are teaming up to bring designer sunglasses to YOU and to help feed the hungry in our community. Bring your non-perishable food items or paper goods into Grin Eye Care's Olathe or Leawood location any time during the month of July. For every item donated, you can enter a chance to win a pair of MILTON. sunglasses! No appointment is necessary. The MILTON. 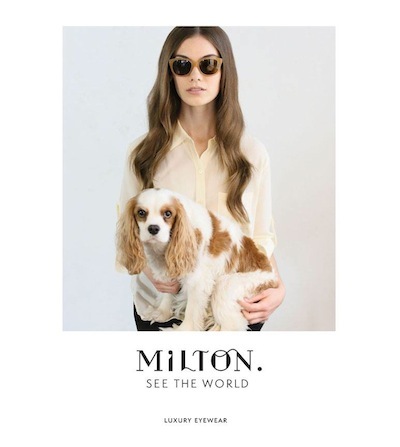 line of eyewear was created by our own Dr. Milton Grin. We are also giving away Ray-Ban and Ralph by Polo sunglasses. Both locations offer extended hours to serve you!